The woman who accused Supreme Court nominee Brett Kavanaugh of sexual assault when both of them were in high school will not testify before the FBI investigates the matter, one of her lawyers, Lisa Banks, said Tuesday night. In a letter to Senate Judiciary Committee Chairman Charles Grassley, reported first on CNN and obtained by ABC News, lawyers for professor Christine Blasey Ford, said "a full investigation by law enforcement officials will ensure that the crucial facts and witnesses in this matter are assessed in a non-partisan manner, and that the Committee is fully informed before conducting any hearing or making any decisions." Grassley had invited both Ford and Kavanaugh to testify before the committee on Monday. "There's no reason to have a public hearing Monday. This is being rushed through. It's too important. It's not a game. This is a serious situation," Banks said on CNN. The letter to Grassley says, in part: "As you know, earlier this summer, Dr. Ford sought to tell her story, in confidence, so that lawmakers would have a fuller understanding of Brett Kavanaugh's character and history. Only after the details of her experience were leaked did Dr. Ford make the reluctant decision to come forward publicly. "In the 36 hours since her name became public, Dr. Ford has received a stunning amount of support from her community and from fellow citizens across our country. At the same time, however, her worst fears have materialized. She has been the target of vicious harassment and even death threats. As a result of these kind of threats, her family was forced to relocate out of their home. Her email has been hacked, and she has been impersonated online." "As the Judiciary Committee has recognized and done before, an FBI investigation of the incident should be the first step in addressing her allegations," the letter continued. "A full investigation by law enforcement officials will ensure that the crucial facts and witnesses in this matter are assessed in a non-partisan manner, and that the Committee is fully informed before conducting any hearing or making any decisions." The letter ends with: "We would welcome the opportunity to talk with you and Ranking Member Feinstein to discuss reasonable steps as to how Dr. Ford can cooperate while also taking care of her own health and security." 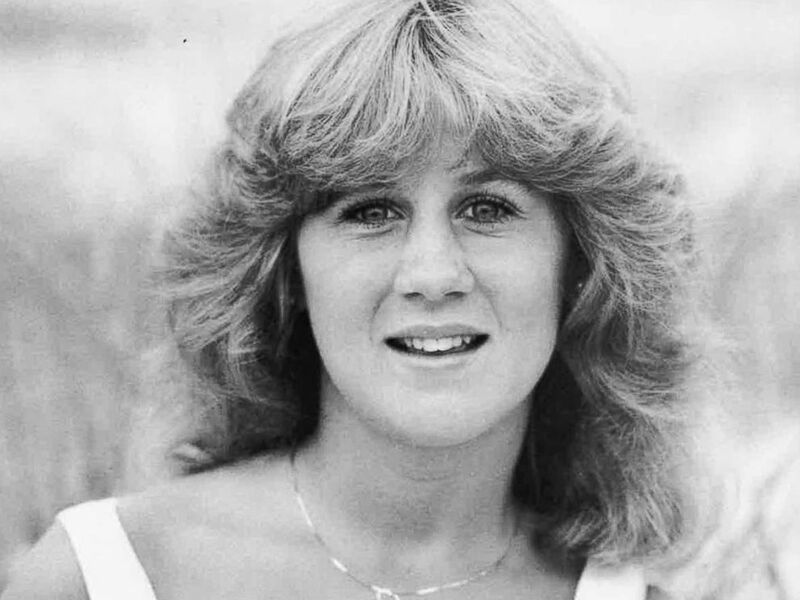 Christine Blasey, the woman who accused Supreme Court nominee Judge Brett Kavanaugh of sexual assault at a party in the 1980s, is pictured in a high school yearbook from the time of the alleged incident. Grassley said in a statement late Tuesday that the invitation still stands for Ford to testify. "Nobody should be subject to threats and intimidation, and Dr. Ford is no exception," Grassley said. "These are serious allegations and Dr. Ford deserves to be heard. "Immediately after learning of Dr. Ford’s identity from news reports Sunday, committee staff started working to gather facts related to her claims," the statement continued. "We’ve offered Dr. Ford the opportunity to share her story with the committee, as her attorney said yesterday she was willing to do. We offered her a public or a private hearing as well as staff-led interviews, whichever makes her most comfortable. The invitation for Monday still stands." The White House had no immediate response. Shortly after the letter was revealed, Sen. Dianne Feinstein, the top Democrat on the Judiciary Committee, released a statement saying, "The decision to come forward or not come forward has always been Christine Blasey Ford's, and that includes her participation in a hearing." "I agree with her 100 percent that the rushed process to hold a hearing on Monday has been unfair and is reminiscent of the treatment of Anita Hill, Feinstein continued. "I also agree that we need the facts before senators -- not staff or lawyers -- speak to witnesses." "We should honor Dr. Blasey Ford's wishes," Feinstein continued, "and delay this hearing. A proper investigation must be completed, witnesses interviewed, evidence reviewed and all sides spoken to. Only then should the chairman set a hearing date." Jim Gensheimer, one of several friends Ford told about the alleged assault by Kavanaugh in July, released a statement Wednesday backing his friend. "I’ve known Christine Blasey Ford for more than eight years and have always found her to be an honest, truthful and responsible person," Gensheimer said. "She is a devoted mother and teacher, and a woman of great integrity. I have no reason to not believe what she says about Brett Kavanaugh because she clearly has nothing to gain and much to lose by going public with her story. "I know from things she has told me, including her need to have more than one exit door in her bedroom to prevent her from being trapped, that this event was serious enough to have a lasting impact on her life," he added.